When does music learning begin? You might be surprised to hear that it begins right from birth! Since our sense of hearing is fully developed from day one, it is the perfect time to bring musical experiences and play into your child’s life! Our Music Together® Mixed Ages classes for infants and children under age 5 and their families are designed specifically to incorporate this wonderful fact in a very fun way! We sing, dance, play instruments, make up silly verses, and create a community in a non-formal learning environment. That means you do not have to be a musician to give your child the gift of music! All you have to do is be willing to play! 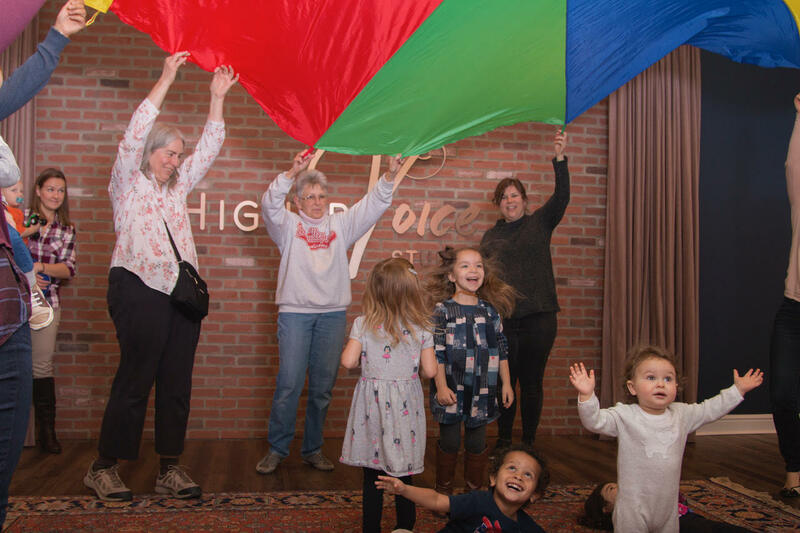 The Music Together® curriculum includes a mix of original songs and traditional tunes from the folk, jazz, and world music traditions in a variety of tonalities and meters. By presenting a range of musical styles from lyrical to blues, from folk to boogie, Music Together® provides children with a rich music experience that stimulates and supports their growing music skills and understanding. Music Together’s nine song collections—each identified by its own color, instrument name, and graphic—are presented in a three-year cycle of three semesters per year. They are non-sequential, so families may join at any semester and attend class for three full years before cycling back to re-experience the collections from their growing children’s ever-changing perspectives. Because music learning is cumulative, with children reaping developmental benefits that build over time, we encourage their participation for as many years as possible from infancy through kindergarten. Music Together’s song collections have outstanding arrangements that are fun, sophisticated, and loved by children and grownups alike. The music is pitched in just the right range for children’s voices and includes songs, rhythmic rhymes, tonal and rhythm patterns, and instrumental play-alongs. All of the songs are suitable for mixed-age groups, perfect for childcare centers or families with children of different ages. 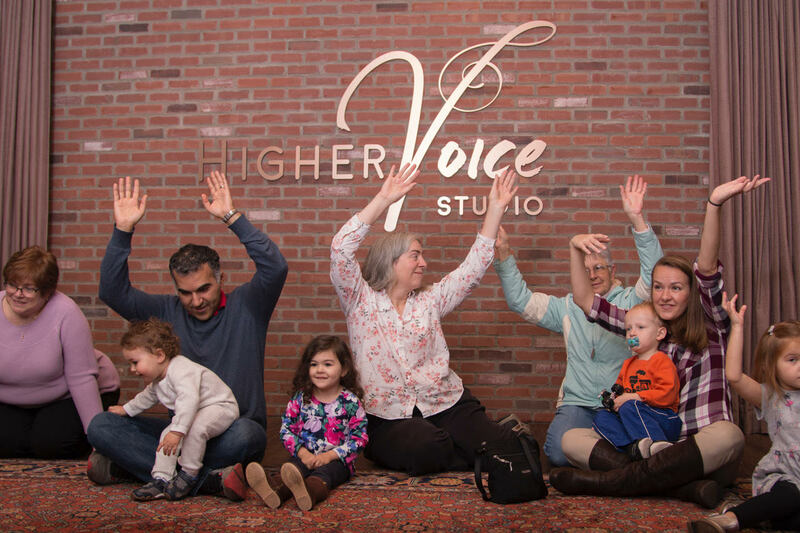 Find out more about the Music Together® program at Higher Voice Studio, and hear it straight from the program instructor herself. 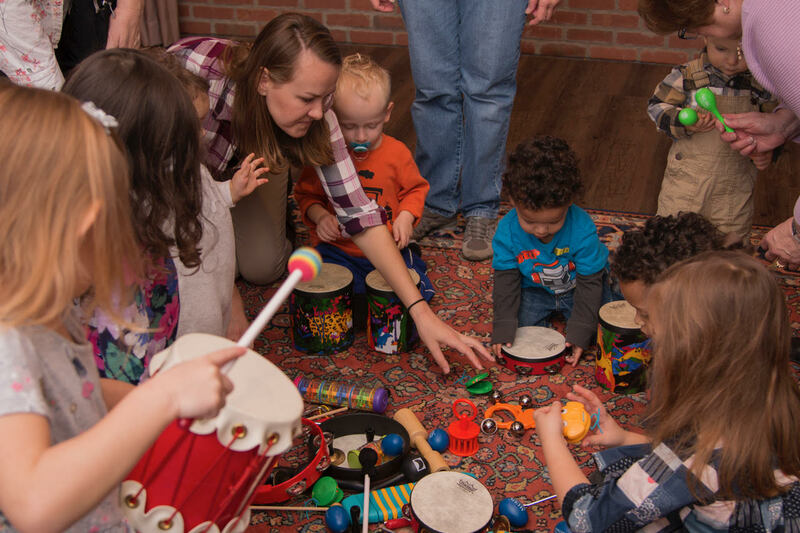 Fully trained and registered Music Together® teacher, Holly Van Hoey, leads a group of six to twelve children and their parents or caregivers (nannies, babysitters, grandparents, or relatives) in forty-five minutes of music and movement experiences at our beautiful studio in downtown Carnegie. 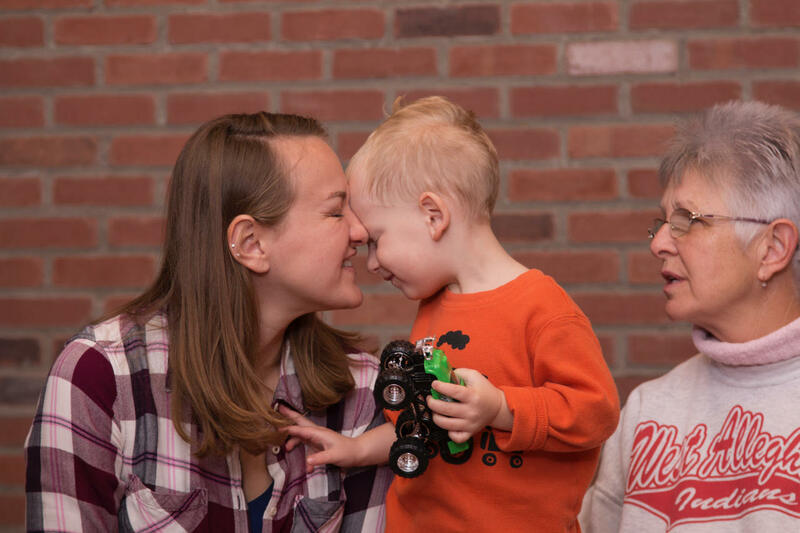 Music Together’s research based, developmentally appropriate music program develops basic music skills, such as singing in tune and moving with accurate rhythm. It also nurtures creativity, self-expression, and confidence and supports social, emotional, cognitive, and physical development. Each weekly class offers a dozen songs and rhythmic rhymes. We sing, dance, play with drums, bells, shakers, tambourines, scarves, balls, triangles, resonance balls, castanets, ukuleles and more! “We first started coming to Music Together when my son was around a year old. He was learning to walk, talk and all the other big milestones. Miller learned to keep a beat, mimic sounds, and find his inner musician. As he’s grown, I love how Music Together allows him to explore and express how he wants to make music in a fun, encouraging environment. Miss Holly is a wonderful musician and a supportive teacher. She’s always willing to incorporate his favorite songs into class – even if it’s not from the current session. Friday, April 5th, 11:00 a.m.
Tuesday, April 9th, 11:00 a.m. If a check or cash is received by the first class, the credit card will not be charged. Exciting news! We are now offering a referral tuition credit for families as a “thank you” for your support! In order to receive the credit, please ask your friends and family to enter your full name under the “how did you hear about us” section when they register for the semester!